Let's see your Moke ! This is my moke. Eagle eyes will spot it's a replica. Im not keen on the Matt green colour, thinking of going for a lighter shade of green. What do you think? While not a 'Moke' the purists would take to, I think it's great. Off hand, I can't recall who made them, but have seen a few of them. New to Mokes Mav,but can you explain the different profile of the Bonnet and the different pannier covers.Are they mods you did yourself or is it a different type of Moke. It's a normal moke. But every panel is modified. The bonnet to make it stronger. The side boxes 45mm wider than standard. The box covers for the looks. I just wanted to do something different. It took me 4 years to do. But I'm thrilled how it came out. 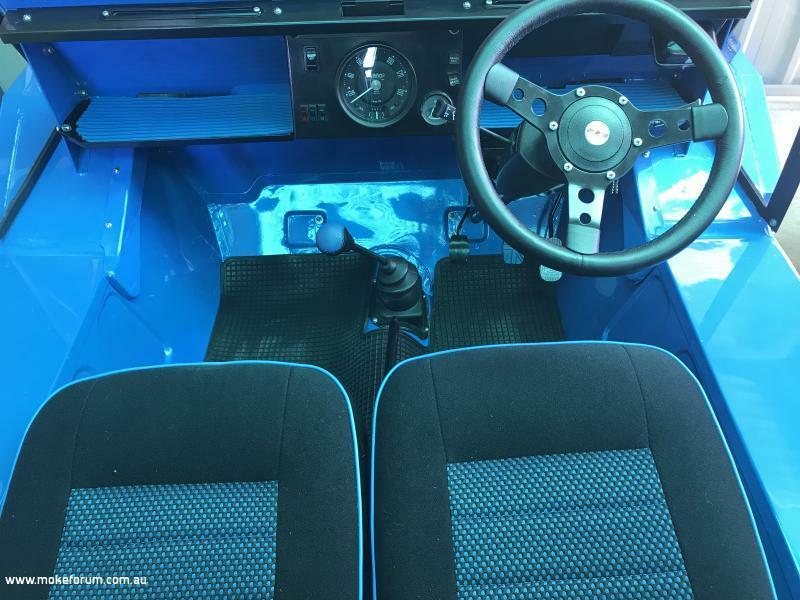 You cant see the difference unless you know what your looking at or have a standard moke standing next to it. 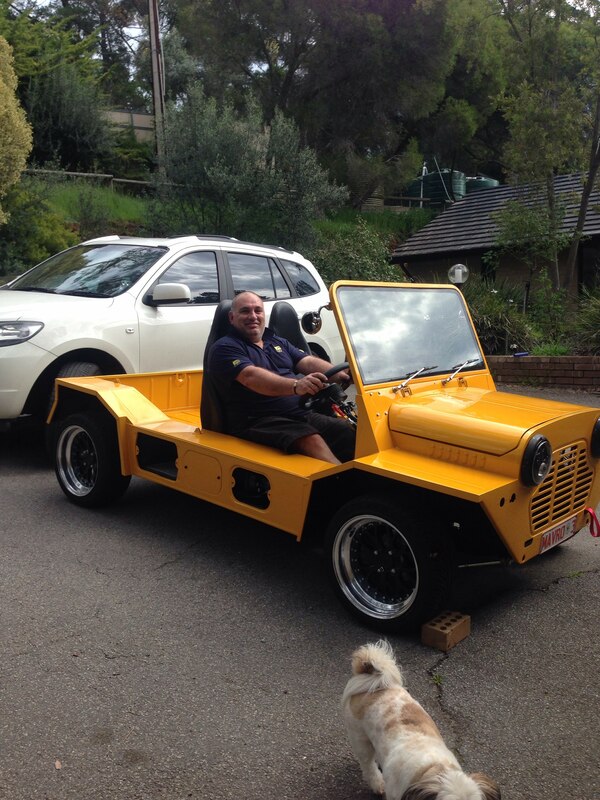 Hi, thought I'd add a pic of one of my MOKE's. Hey Bludger - welcome to the forum! I guess that's one way to get out of cleaning the Moke ! Thank for sharing the pics of your before and after with this one - PRU. It certainly looked pretty darn ugly (just like you) after the prang. Glad no one got hurt, but sure did came away pretty bad. 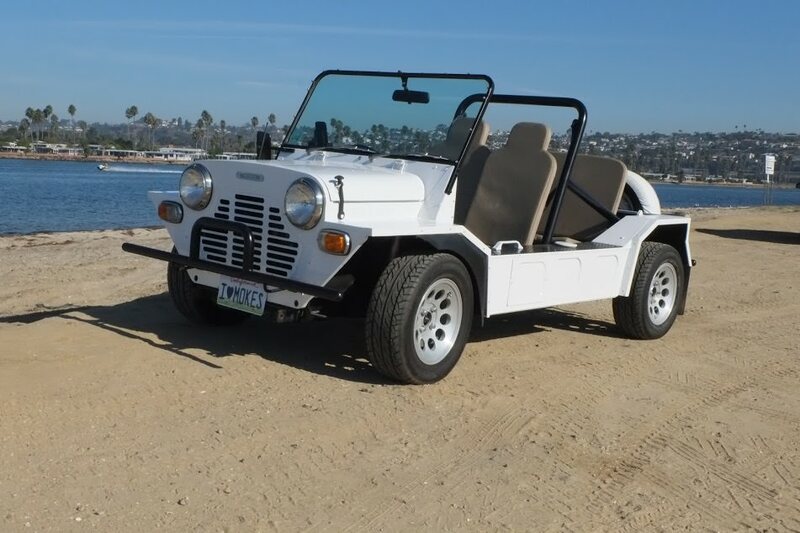 Lovely 'clean' looking Moke you have there Andrew, I would think quite rare in the US? Where did you come across it and how long have you had it for? Been on any drives with it? Maybe you should come to Aust for one of our Adventures? 1. Mokes are pretty rare in the U.S. - none were officially imported (along with Minis) after the first federal safety and pollution regulations came into effect in 1968. There were a bunch of Little Wheelers imported for use as rental vehicles on Catalina Island offshore from Los Angeles, but those have long since rusted away, scrapped, etc. Some have been saved by private owners. 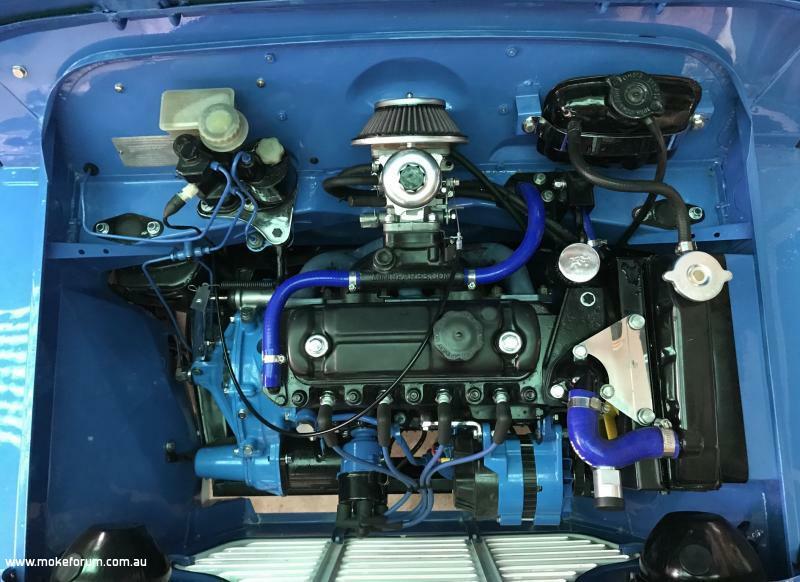 A fair number of Moke have been privately imported under the "25-year" rule that allows importing vehicles that don't meet the safety and pollution regulations if they are more than 25 years old. 2. 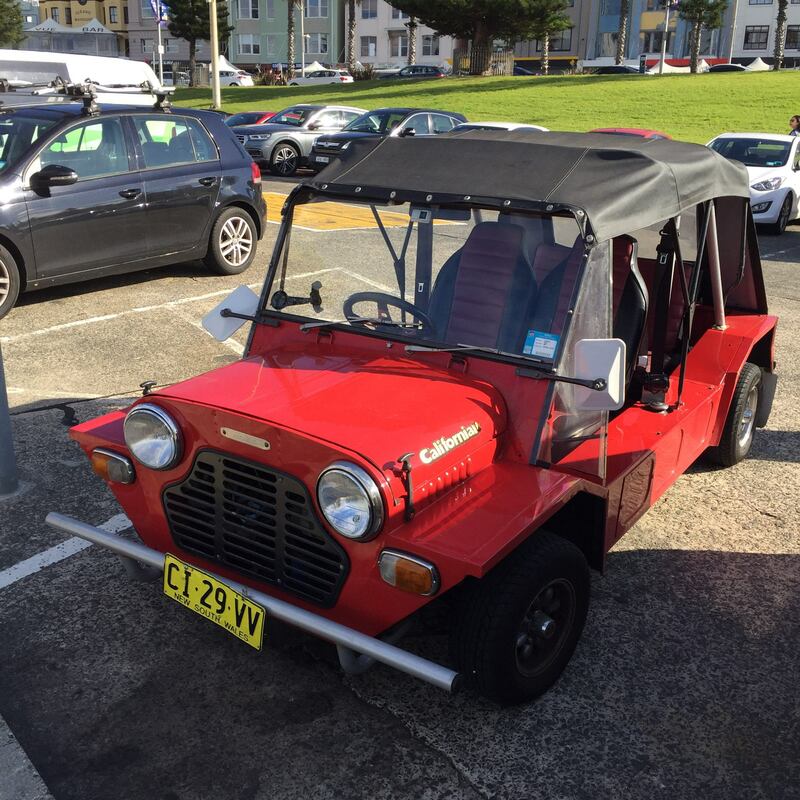 My Moke was privately imported some years ago. I saw it advertised briefly while at Mini Meet West in 2017 and jumped on it after determining it only had light surface rust. I live in San Diego, and it was on consignment with Heritage Garage in Orange County. 3. Drives? Only to local meets, etc. 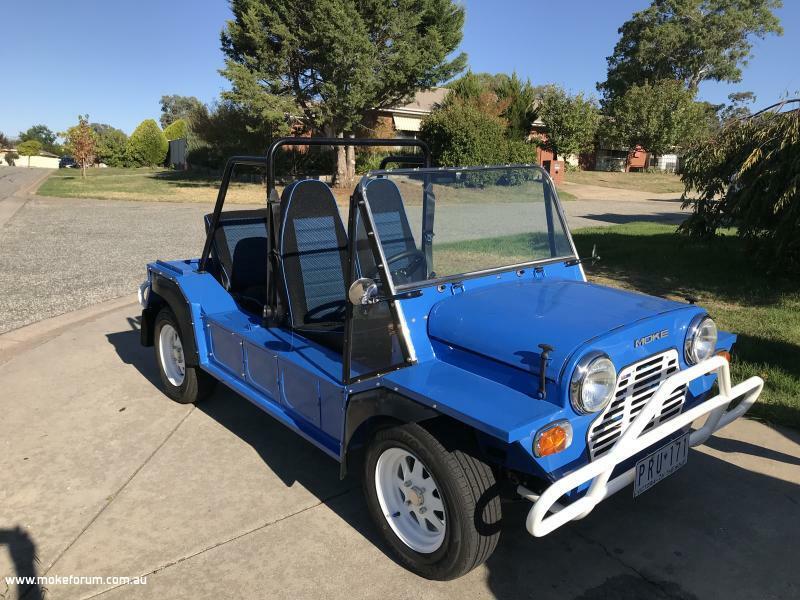 The 1098 it has is a bit tired, and one needs a bigger motor and a lot of cajones to drive a Moke on California freeways. It has an attachment for a towbar, which makes flat towing it behind my pickup very handy. 4, Australia? I did! I attended Mokin' Jervis Bay in April - what a fabulous experience! 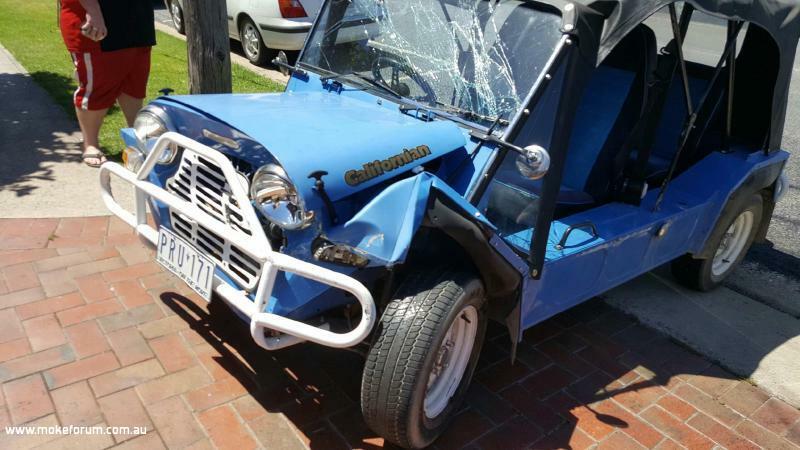 Of course, it wasn't practical to ship my Moke over, but that gave me the opportunity to ride in several different Mokes and meet lots of great Australians! (I think if I were in my 20's I would come live in Oz for a few years. Where the women are beautiful, the men are handsome, and the children are all above average - to steal a phrase). 5. Any Mokers coming to Southern California, LET ME KNOW! I would like to return some of the great hospitality I had in April. There you go spider, thought I'd put my 'moke a like' (amc cub) up. by the way Had a look at the hydraulic suspension today. Edited by HUBBA.HUBBA, 10 October 2018 - 09:25 PM. I recall having several chats with you at Moking Jervis Bay you were never in the same Moke twice,It really was an enjoyable event.